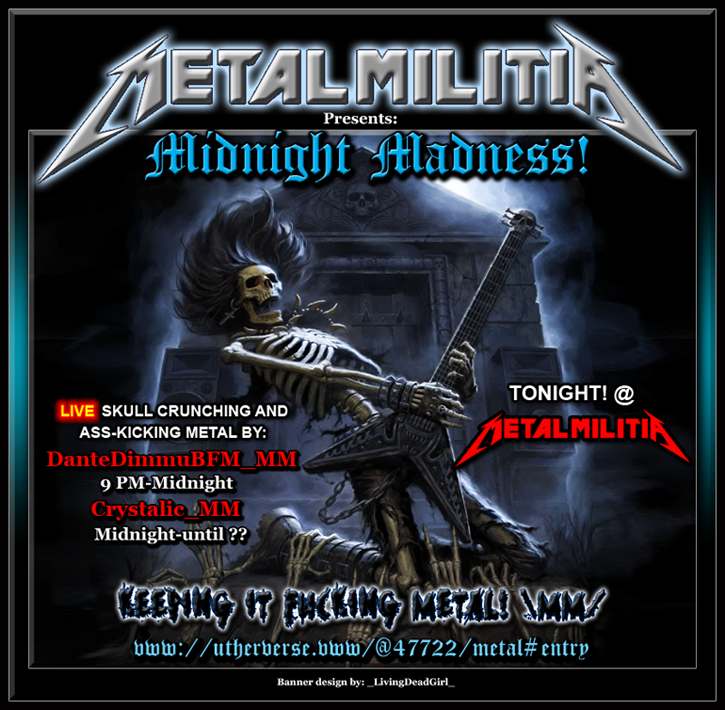 TONIGHT MIDNIGHT MADNESS @ METAL MILITIA WITH DANTE & CRYSTALIC! 9PM EST! COME GET YOUR METAL FIX! BOOOOOOM!!!!!!! ITS ON SUNDAY 31TH !!!!!!!!!! 11PM-2AM YEP YEP !!!!!!!!!!!! 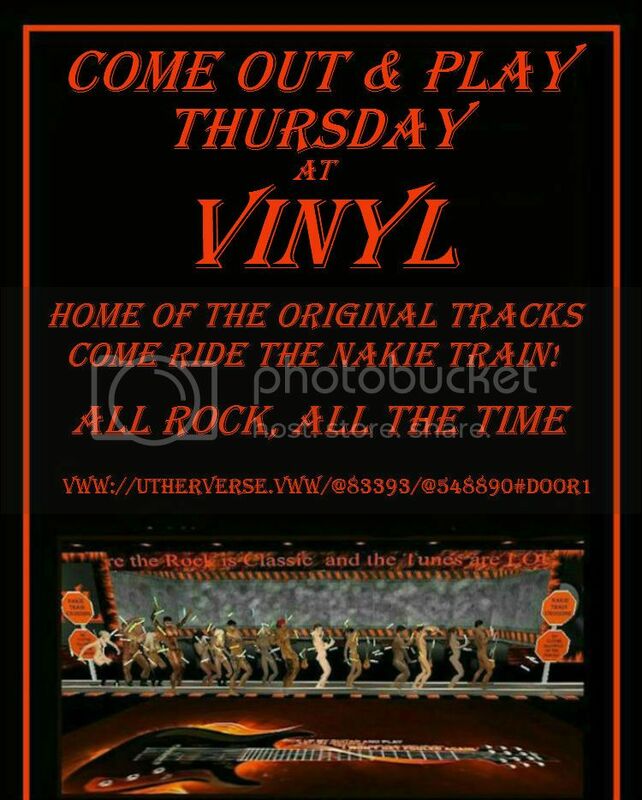 Come Out & Play At Vinyl! 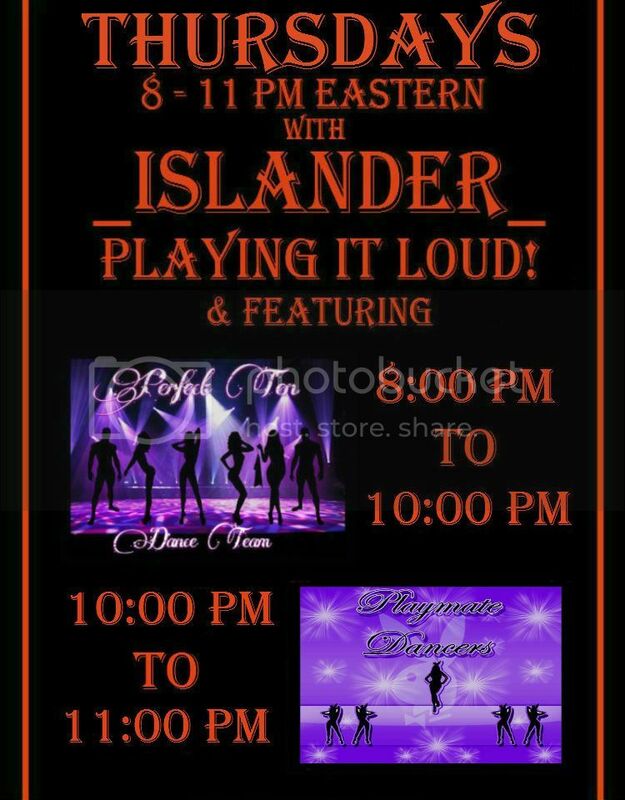 Islander Rockig The House and Playing It Loud! 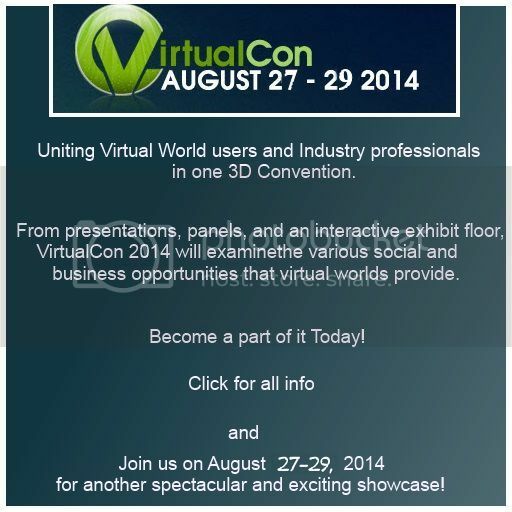 ~VIRTUAL BURNINGMAN~ @BEN Boardwalk ~ SAT/AUG 30th ~ LIVE MUSIC, GAMES, PRIZES..."BURN BABY BURN" ! 12:30 PM PST VWW Tuesday at "RDV Motors" DJ Harley will be spinning the tunes! 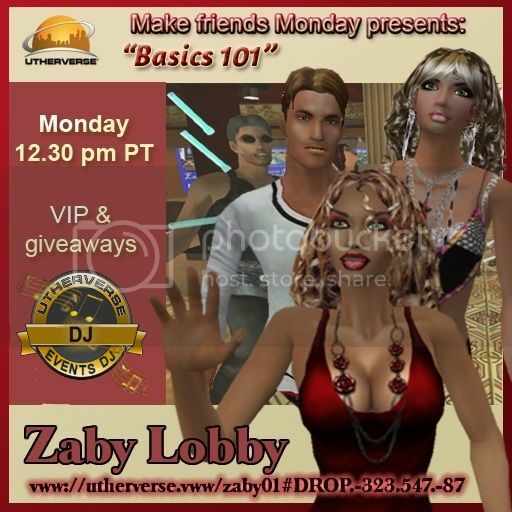 FMonday presents "Basics 101" Dj_money playing the tunes! Never bought, never sold? Ask me why you should! NEW!! DJ_Nat_MJTs - DJ services! Ms_IzzyBoo_HEL - Tempting & Twisted Wild Reality layouts! Ms_IzzyBoo_HEL - Tempting & Twisted Wild Photography! Ms_IzzyBoo_HEL - Cat Scratch Fever Dance Team! ___Lion___ - Iceware Media Player! Sassy_CBD_SHL - modeling for Castle Fashion! Sassy_CBD_SHL - modeling for Jo's Fashions! GRegentTony_HKMT - Ayslynn's Flying Creatures! GRegentTony_HKMT - modeling for Ayslynn's Attire! Queen_Cutie_SIE - modeling for Dukesa! Jericah_EMCEE - modeling for Jana's Style! 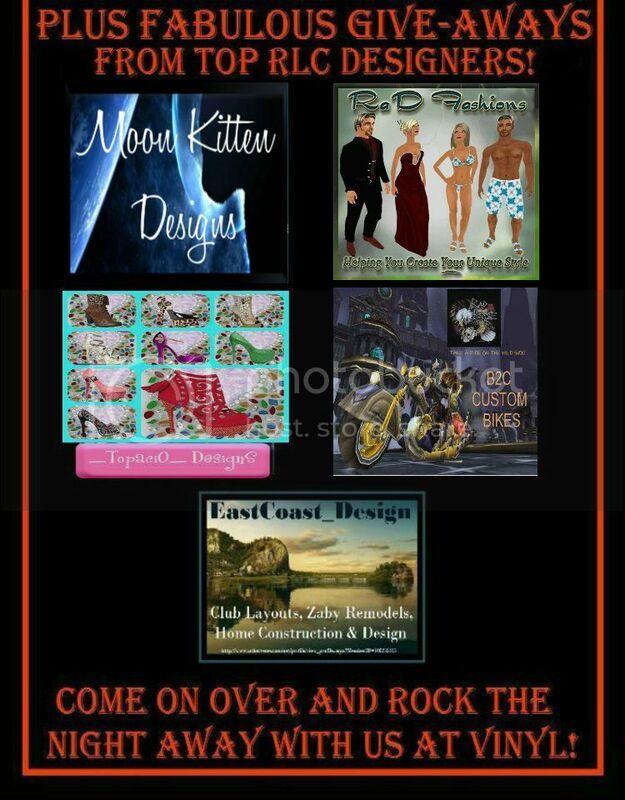 Jericah_EMCEE - modeling for Womancat_Design! Jericah_EMCEE - modeling for Novi! Jericah_EMCEE - modeling for Nusya! Jericah_ENCEE - modeling for Eltuli! 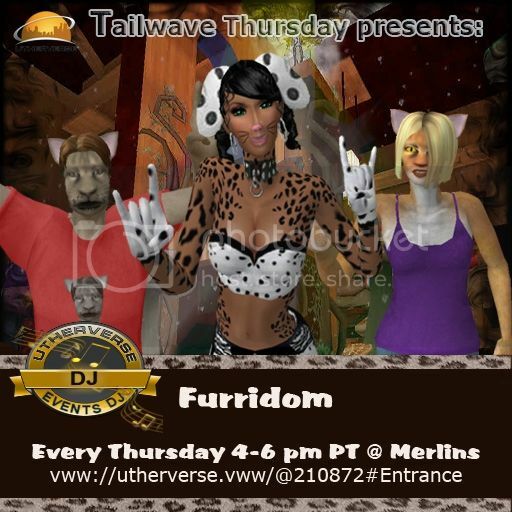 This is a Furry Event brought to you every Thursday! Basic's Welcome Party! 12:30pst>> QC69 ha the tunes! 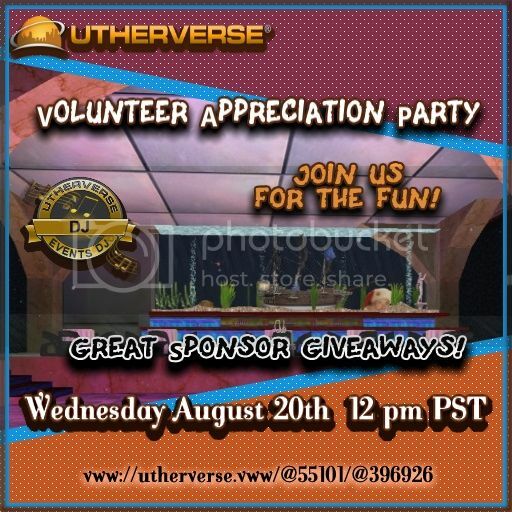 Volunteer Party 12:00 PM PST Come see what surprises we have in store for this event!
. 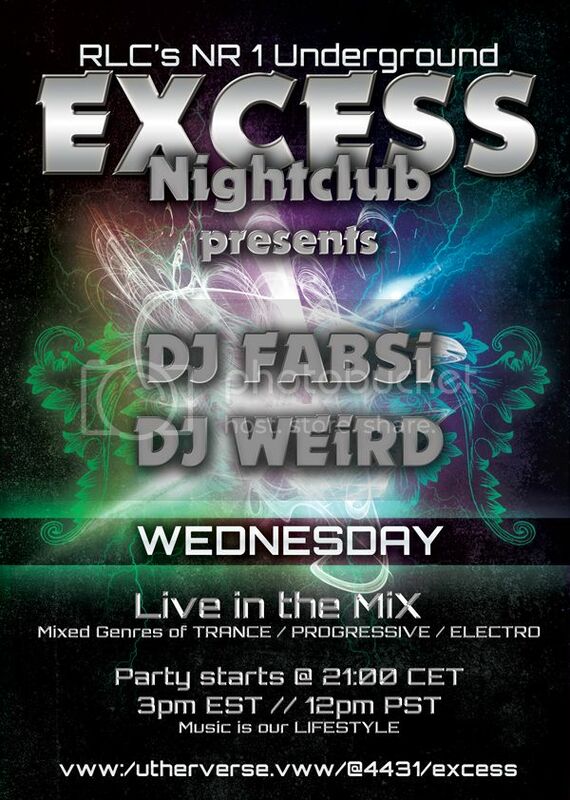 :: TODAY @ CLUB EXCESS :: EDM SESSiONS with DJ FABSI and DJ WEiRD :: 21.00 CET / 3pm EST ::. MFM! 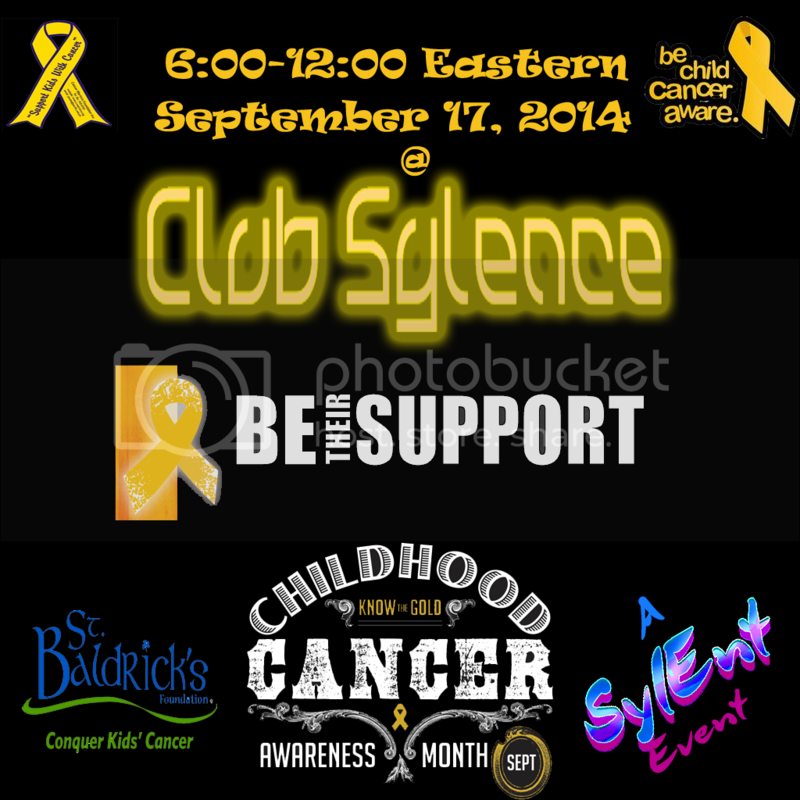 presents "Basics 101" DJ_Belz playing the tunes! 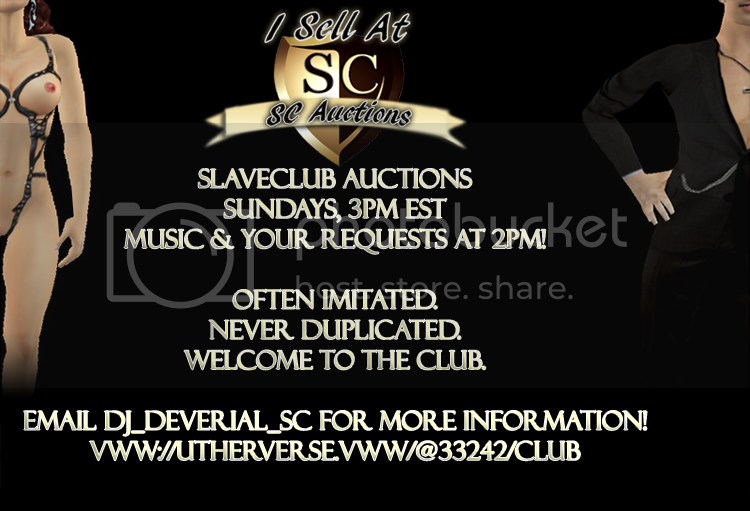 Today, at SC Auctions - 3pm EST! Take a look at what we've got.. a new DJ on the block! Sassy_CBD_SHL - modeling for Virtus! Queen_Cutie_SIE - modeling for _Kali_Jayde_! TG Event! MnM Monday! Everyone is Welcomed>4:00 PM PST@Tatarus! BOOOOOOM!!!!!!! ITS ON SUNDAY 17TH !!!!!!!!!! 11PM-2AM YEP YEP !!!!!!!!!!!! Thursday 12:30pm PST >>Basics Welcome Club>>>QC69 is playing the tunes! three dance floors or sit back and watch the girls on stage. Stages are open to all ladies. Private and public play areas also available on the third floor.